Lake County was established on October 24, 1874 and named so because of the numerous large lakes within its borders. 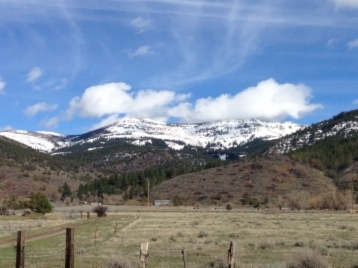 Located in the south central high desert of Oregon, Lake County covers 8,275 square miles and has an estimated population of 8,130 residents. Economy consists primarily on agriculture, timber, livestock and government. Lake County, Oregon is made up of many diverse regions to visit and live. We are blessed with beautiful forests, awe inspiring deserts and vast opportunities for recreation. With the abundant lakes and rivers for fishing and water recreation and mountains and valleys to explore, any interest can be sparked. If you seek a faster pace of recreation, join us for drag racing, hang gliding or even ATV recreation on Lake County’s sand dunes. Lake County, Oregon is proud to be on the forefront of renewable energy exploration including solar, geothermal and biomass. We are continuously looking for new development opportunities and welcome new business ventures throughout the county. Our knowledgeable staff is willing to accommodate new enterprises and assist in development inquires. To obtain additional information on how Lake County, Oregon can assist you, please feel free to search our site and/or contact us regarding any questions or requests you or your business may have. We are here to help! Lake County would like to thank citizens Frank Vaughn and Father Raymond Hopp and our employees for the photos submitted for our new site.